New York, June 22d, 1804. 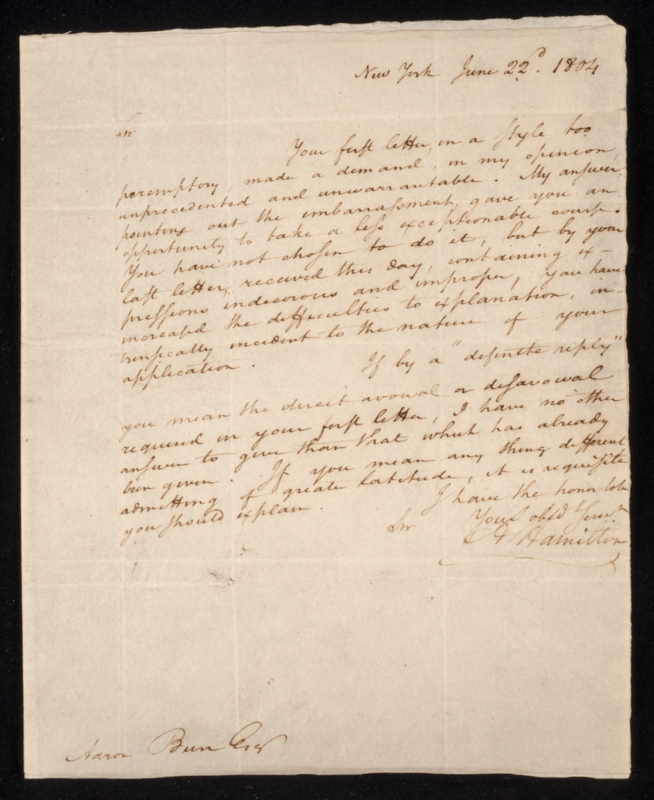 Alexander Hamilton to Aaron Burr, June 22, 1804, Fenimore Art Museum Library, Cooperstown, New York, Gift of Stephen C. Clark, Collection No. 123.